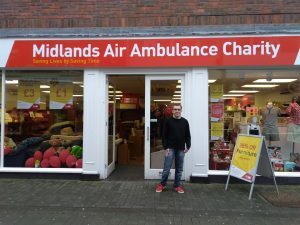 Michael began a work placement at the Air Ambulance charity shop in Wellington in 2017. Initially Michael was slightly apprehensive to begin working at the shop but he was also very excited. Enable Job Coaches were able to assure him that they would be there to offer full support and assist him with learning the role. 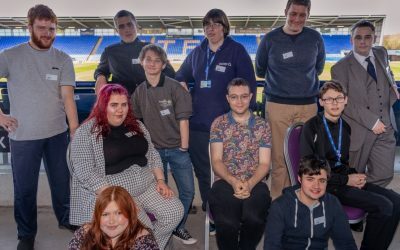 Enable Job Coaches also took Michael to the shop before he started his placement so he could meet the rest of the team and have a look around. Youla, the Deputy Manager, was there to greet him on his first day and helped him settle in introducing him to the volunteers Chris and Della. She then gave him a tour of the shop and showed him where he needed to sign in and out. Michael worked with Chris, another volunteer, to sort out bric-a-brac and washed items that were dirty before they were put on the shop floor. He required support to moderate the water temperature but washed each item effectively. Michael also watched Della putting prices on clothes, DVD’s and books and Youla showed him where to put the DVD’s on the shop floor. As the afternoon went on Michael began become more confident with talking to Della and Chris. By the end of the shift Michael had retained some of the things that Youla had taught him such as red donation bags are gift aided and that stock is rotated after three weeks if it is not sold in the shop. Michael enjoyed the afternoon and is looking forward to working in the shop.